The Fat Chef, Whitefield disappoints! After a not so great meal at Sunnys, I thought of playing it safe and going back to the very consistent Toscano for my next evening out; but then the foodie in me coaxed hard to explore. 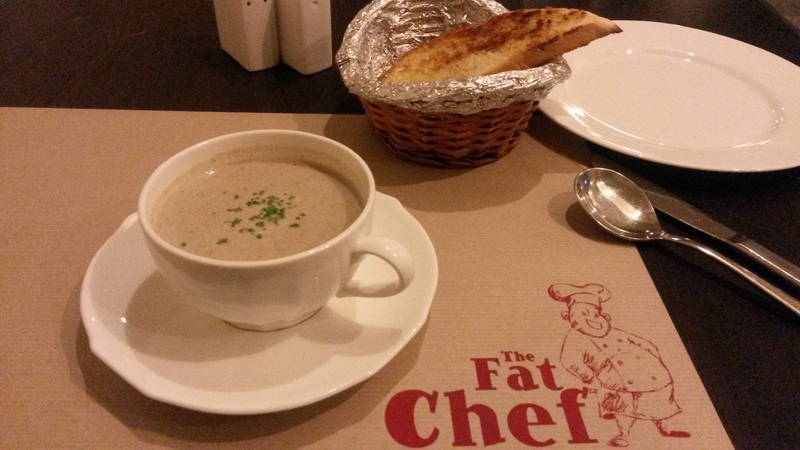 The Fat Chef in Whitefield, a multi-cuisine place with more focus on European food was our pick. 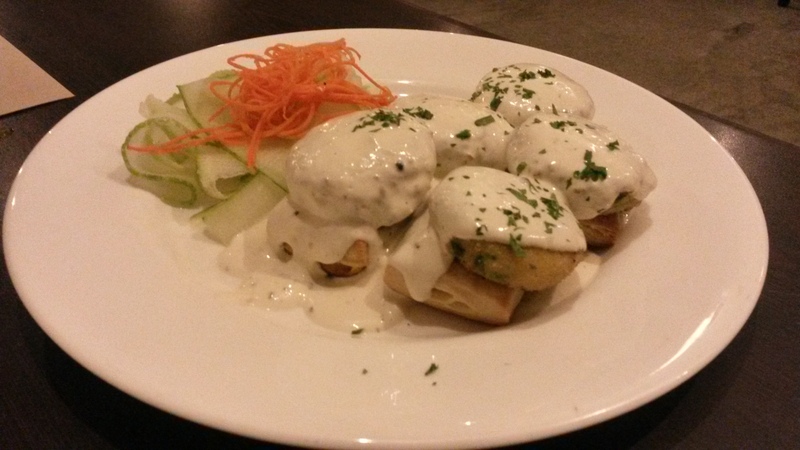 A bit of googling showed us that they serve tried and tested dishes, but many times simple food is what we crave for. We chose the outdoor seating and could last only 10 minutes in our fight with the mosquitos and moved inside. The décor is minimalistic, more living-room like. We ordered a Mushroom cappuccino expecting a soup presented with velvety foam on top, it came flat as an ‘Americano’ though in a cup, maybe it was their understanding of it! However it tasted divine and came with plain buttered toast. 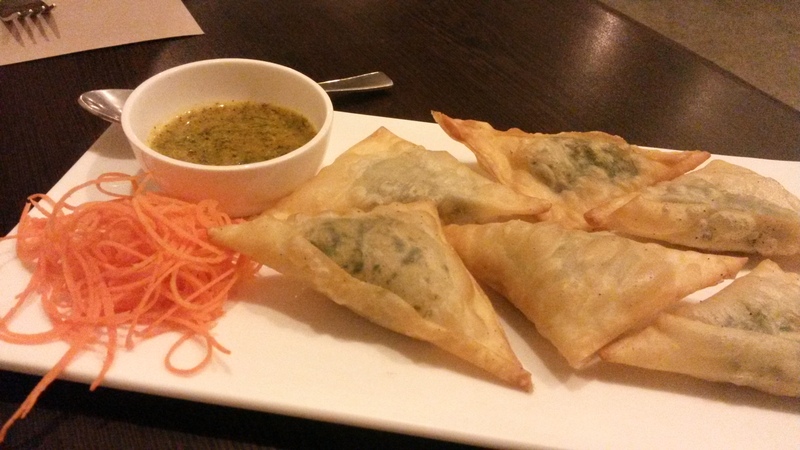 The spinach, ricotta and walnut samosas (wonton wrap) were bland and lacked flavour,the apricot mustard dip could only take it up to a certain extent. The potato and asparagus cake on flaky pastry and four cheese sauce was a blatant joke, the four cheese sauce tasted of only flour and milk and the flaky pastry was tough. We asked the server about the four cheeses in the sauce; he went back to check only to come back and say, ‘Cheddar, Goat cheese and some other ingredients like cream’. I was dumbfounded, the cheese was only namesake,, ‘moonlight robbery’ I thought to myself. 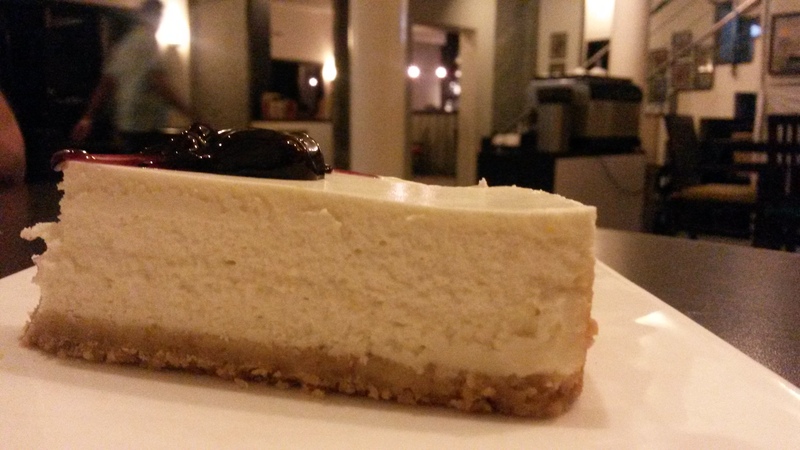 We hurried into our Philly Cheese Cake, a favourite with restaurateurs these days; but it again was sub-standard. Nobody bothered to do anything with regards to the concern as they seemed busy winding things up for the night. Sunnys in Bengaluru needs to brighten up! “4” cheese sauce like that is the worst but so many places cut on cost that way, such a ripoff! One may not be great in food, but you cannot cheat the customer this way….